Stop water damage caused by leaking or broken pipes, hoses and applicances such as washing machines, ice makers, toilets, water heaters with the ELK-WSV2 water shut-off valve. The valve can be integrated with alarm or automation system to automatically turn off water in case of a leak, or when away from the property for extended periods. The ELK-WSV2 is a professional grade motorized water shut-off valve designed for residential and light commercial use with a manual override handle. 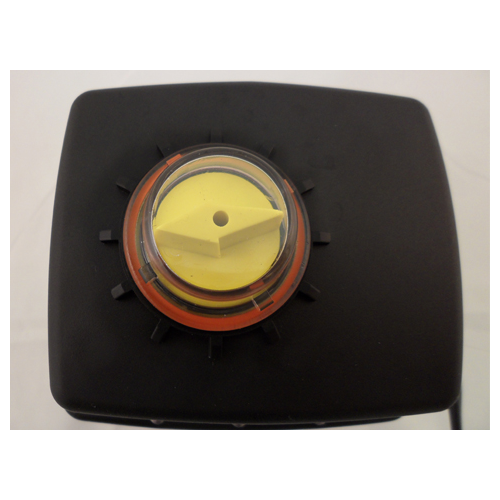 This valve can be used with virtually any automation or security controller. 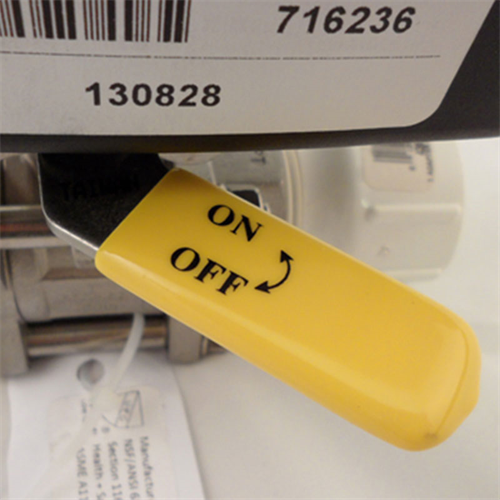 It can also be used with a simple on/off latching pushbutton switch. In just under 2 seconds the WSV2 can conveniently shut off the main water supply to the building. 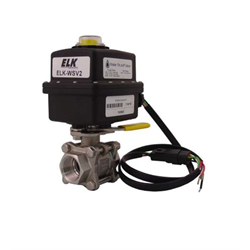 The ELK-WSV2 features a 1” full bore stainless steel ball valve with commercial grade seats and seals. This valve does not restrict water flow and meets the NSF and NEMA approvals of state and municipal water authorities. The motorized actuator has a permanently lubricated gear drive with sufficient torque to open or close the valve under high pressure or after long periods of inactivity. The ELK-WSV2 requires a 12VDC voltage source (not included). Operation may be activated using a single pole, double throw (SPDT) relay triggered from a security or automation control such as the ELK-M1G or M1EZ8. It can also be operated by a very simple SPDT Emergency “Easy” button.